Frederick Ivory was born on 8 July 1870 in Grafton, New South Wales. His father, Michael Ivory, was a shoemaker from Kilkenny, Ireland, and his mother, Ann (née Sales), was from Sydney. He worked as an apprentice in Grafton before moving to Sydney in the late 1880s, where he lived in Erskineville and Alexandria. On 24 May 1893 at Mount Carmel Church in Waterloo, Ivory married 24-year-old, Mary Anne Kelly, from Tipperary, Ireland. They had nine children together: Mary, Frederick, Catherine, Ellen, Agnes, Lucy, Margaret, Thomas and Winifred (who died aged 10 months). Ivory died on 11 February 1935 at his residence at 43 Park Street, Erskineville and was buried in the Catholic Mortuary at Rookwood Cemetery the following day. Ivory’s obituary in the Catholic Freeman’s Journal noted he, his wife and family were ‘widely known and respected’ in Erksineville. Ivory was a farrier and blacksmith. He moved to Sydney after completing an apprenticeship in Grafton, NSW for a Mr Jack Noud. He worked as a blacksmith and farrier for more than four decades in Redfern at 69 and 42 Hugo Street, 48 Louis Street, and then Wells Street. According to the 1900 Sands Directory, Ivory also conducted business at 52-54 Bay Street, Ultimo. A case containing miniature horse shoes and blacksmith’s tools belonging to Ivory is now in the collection of the Powerhouse Museum. Frederick Ivory was a Justice of the Peace from 1911 until his death. He was a life member of the St Vincent de Paul Society and Erskineville’s Manchester Unity Independent Order of Odd Fellows, now Australian Unity. He was a member of the Sacred Heart Sodality of St Mary’s Erskineville and a life member of St Anthony’s Guild. Ivory was also a patron and president of the C.Y.M Cricket Umpires League and a president of the NSW Australian Football Junior Association. 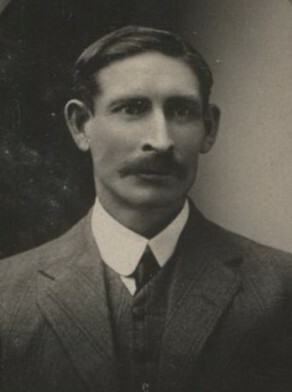 Frederick Ivory was elected an alderman of Redfern Council, Golden Grove Ward on 3 February 1908, serving until 1913. His obituary in Grafton’s Daily Examiner notes that during his time as alderman, his ‘advice appertaining to civic welfare was invaluable and well regarded’.